Tuesday March 4 , Interior Designer Chat’s world-class designers and design bloggers will chat, “What’s Trending In Dining Room in 2014.” From traditional to chic modern boho, to French bistro, there’s a style for everyone. Dining in style is the new gathering space in 2014. Often as designers we’re asked to combine the old and new to shape a fresh take on functionality. Dining rooms are a space to do something strong and edgy that complements what you have done in the rest of the home. Dining room decisions, involves discussions with the client, builder, architect and floor installer who “all have their opinions and input. In 2014 there has been a return to entertaining and socializing in a more formal and sophisticated manner. 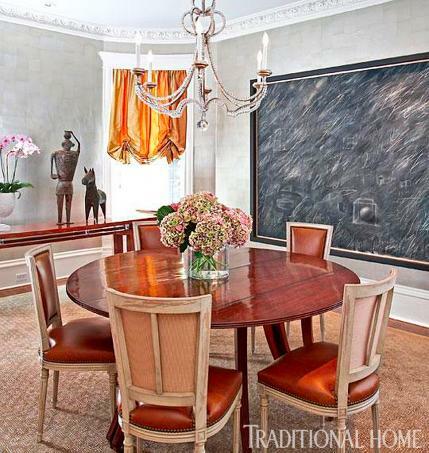 Are you seeing the comeback of a formal dining room in 2014? What are key design details you budget and plan for when designing dining rooms? 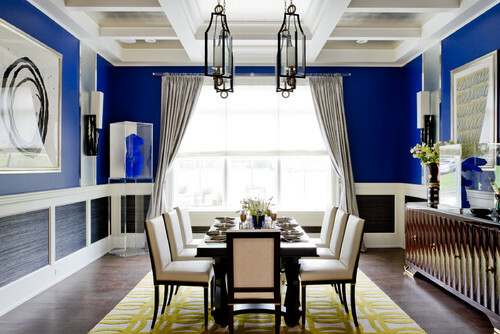 What paint colors are trending for dining rooms in 2014? What furniture showrooms are your resources for dining rooms? Share some of you favorite new Wallpaper designs for dining rooms? What chic statement are you making with illuminating and lighting in the dining room in 2014? What dining room trends are hot in 2014? Join #IntDesignerChat Tuesday March 4 for our topic: What’s Dining Room Trends Are Hot In 2014 at 6pm EST, 5pm CST, 3pm PST and 11p GMT.